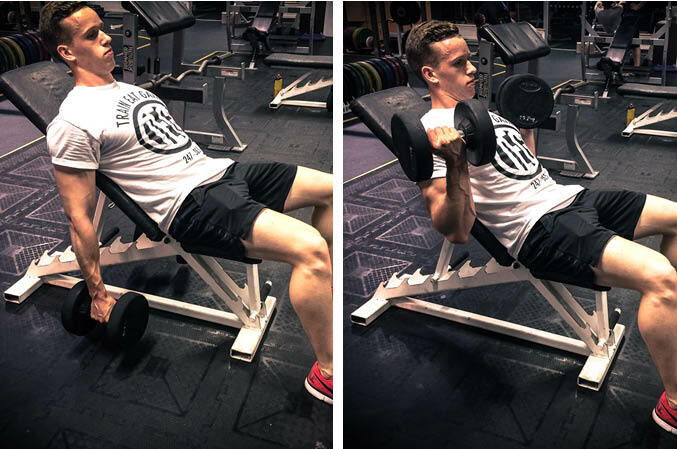 The Incline Dumbbell Curl is an upper body exercise that primarily targets the biceps. This is an isolation exercise which is well suited to beginner lifters. Set up an bench with the back rest at an incline. Sit on the bench holding two dumbbells down by your sides. 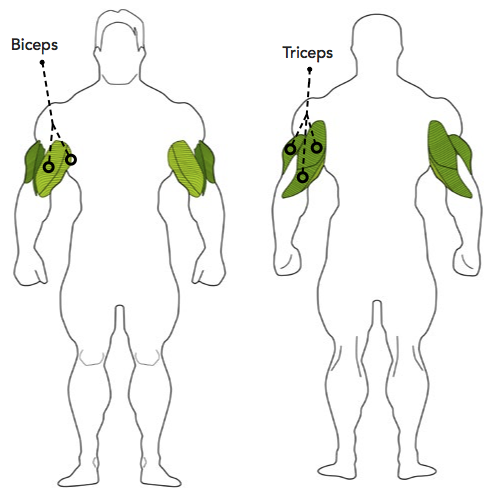 Contract your biceps to bring the dumbbells up, keeping your upper arm vertical and your elbows tucked in by your sides.